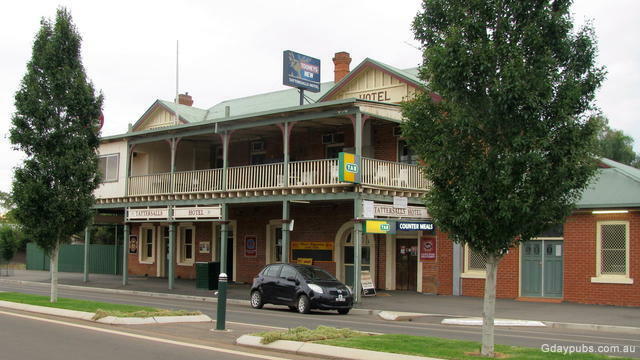 Nindigully has a population of 6, yet the Pub does a roaring trade thanks to its popularity as an outback destination and events like the 4,000 strong new years eve party. Clubhouse Hotel Hotel established or rebuilt 1929. Tattersalls Hotel This pic of the Tattersalls - shows the signs have changed and the palm trees have gone since your 2006 photo.